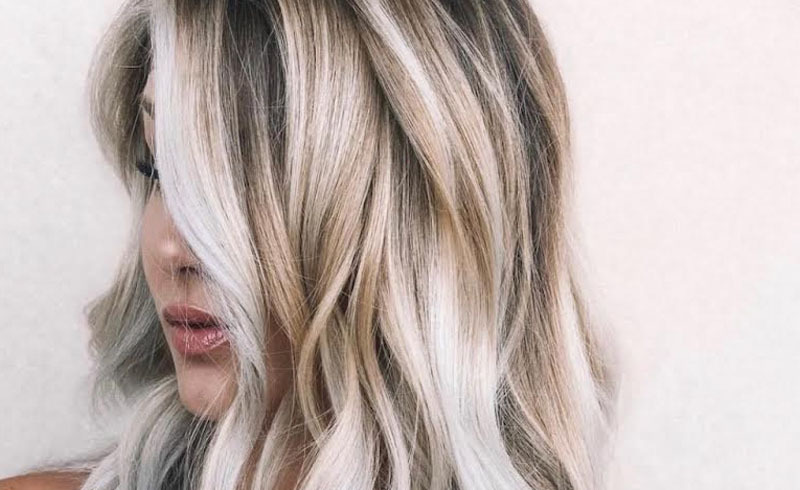 See the best fall hair colors and trends for blondes like dirty blonde, and more. See examples and get inspiration for your next salon visit. Plus, how to keep your color vibrant all winter long. When fall arrives, we tend to replace our summer sun-kissed hair color and go with darker hues. But just because the sun isn’t shining as bright these days doesn’t mean your hair shouldn’t. Instead of letting your tresses lose their glow, find new ways to rock your golden locks this fall. Before you go crazy with color, it’s important to know how to take care of dyed hair. Since some shampoos can cause your look to fade within a matter of weeks, opt for one that's formulated to retain vibrant color, like R+Co Gemstone ($24, amazon.com) or Oribe Shampoo for Beautiful Color ($46, amazon.com). You might also want to invest in something to give your hair extra shine, like Evo Fabuloso Color Intensifying Conditioner ($20, amazon.com). Once you have the products you need to make your color last, you’re ready to let your hairdresser work her magic. 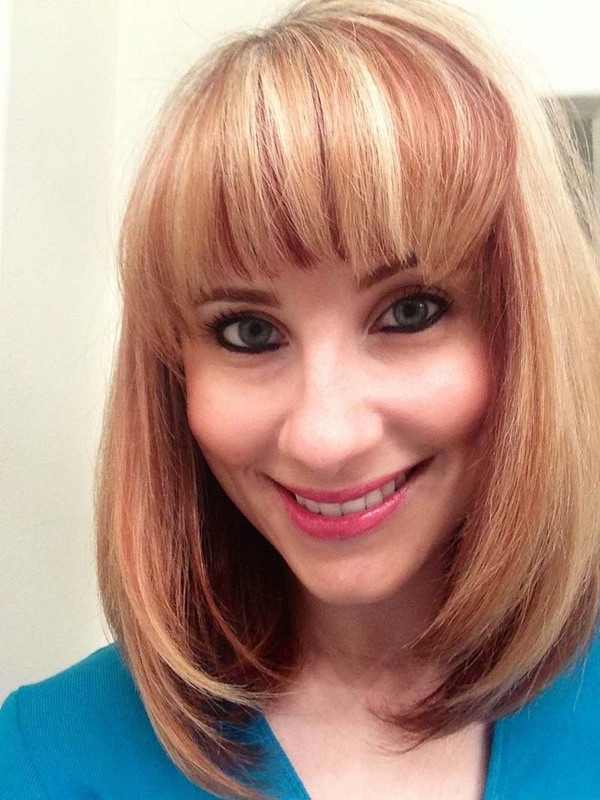 Below, we’ve gathered nine fall hair color trends for blondes that are huge this season. We get it, you want to change things up as winter draws near, yet you don’t want to go all the way over to the dark side. 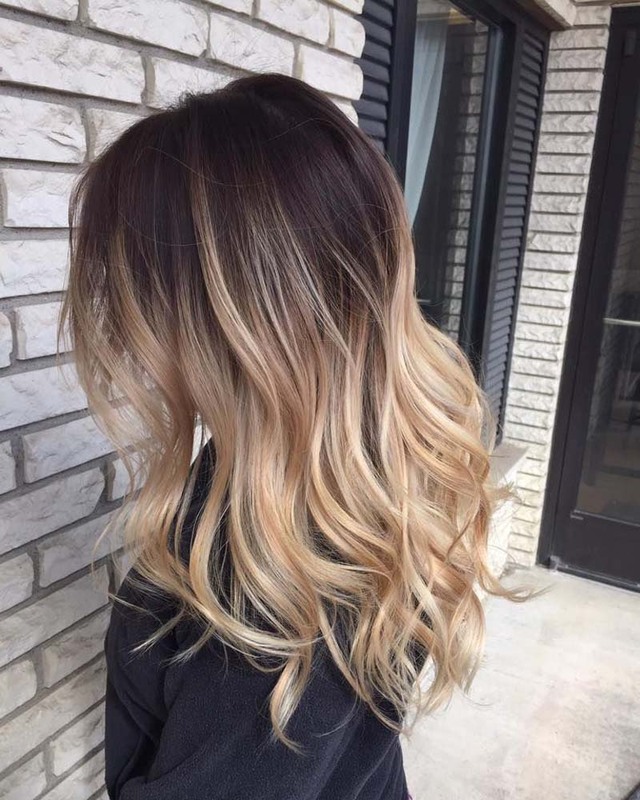 A balayage ombre combo like this one by @hellobalayage will keep your warmth while incorporating shadowy tones up top. If you want your locks to look effortlessly on point, this messy style by @sarahzstylz is for you. Not to mention you won’t have to worry about your roots growing out. What better way to celebrate the season than by adding burnt orange flair to your hair, like this look by @kristinamaccaro? Ombre allows you to hold onto your beloved blonde on the bottom half of your mane and create a head-turning fiery effect. 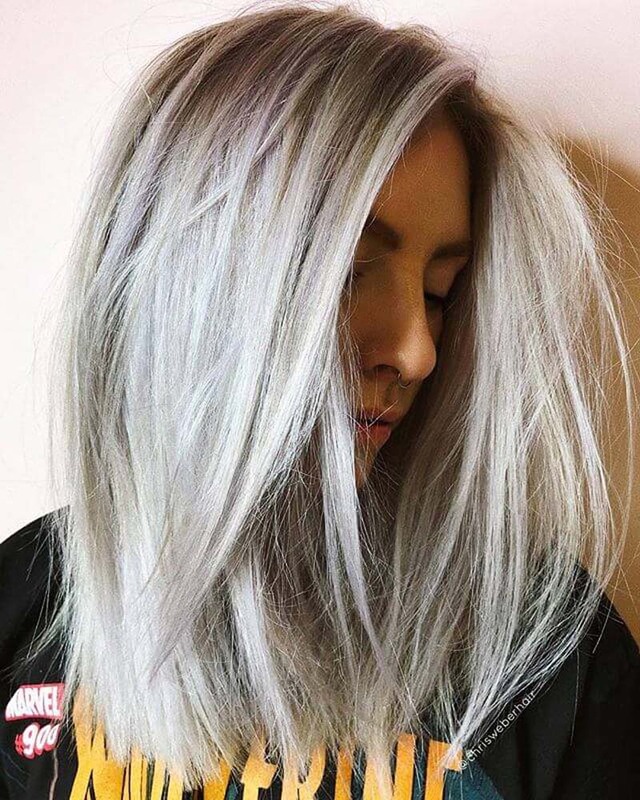 Going completely platinum can be intimidating, but with a ‘do like this one by @catherinelovescolor, the chocolate undertones add contrast to make it less full on. What do you do when you want to get festive, but you’re not down for an entire head of pumpkin orange hair? Two words: maroon undertones. This style by @soulsnap has seriously taken off this season, and it’s not too late to get in on the trend. 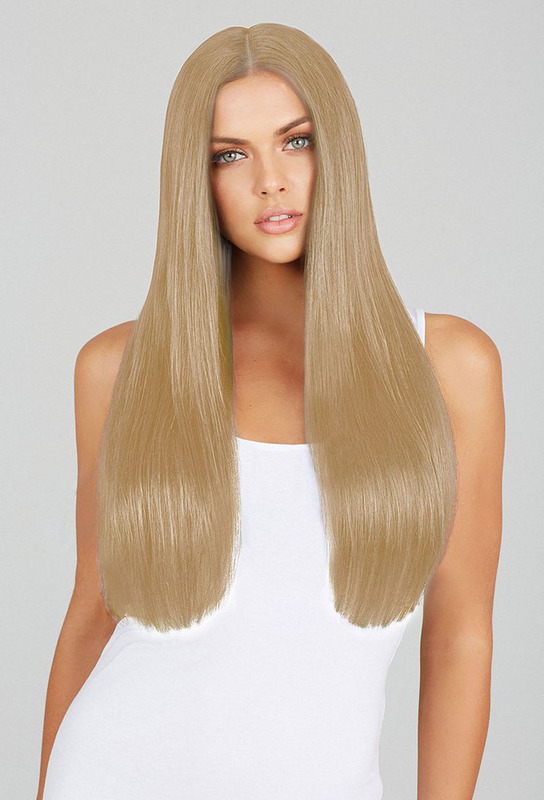 Okay, you’ve been thinking about it for long enough, and it’s finally time surrender to the trend and transform into the rock star you know you are with a full head of platinum. We can all agree this pearly look by @nicoletta_marie is #goals. All of the jewelry you own is already rose gold, so why not give yourself a crown to match? 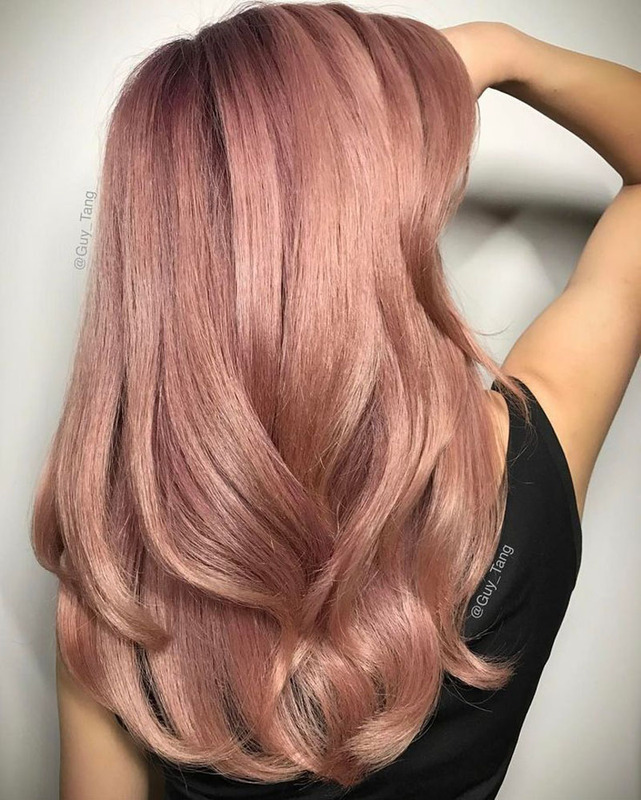 This rosy style by @ambermcmahen is exactly what you need to switch things up this season without going dark. 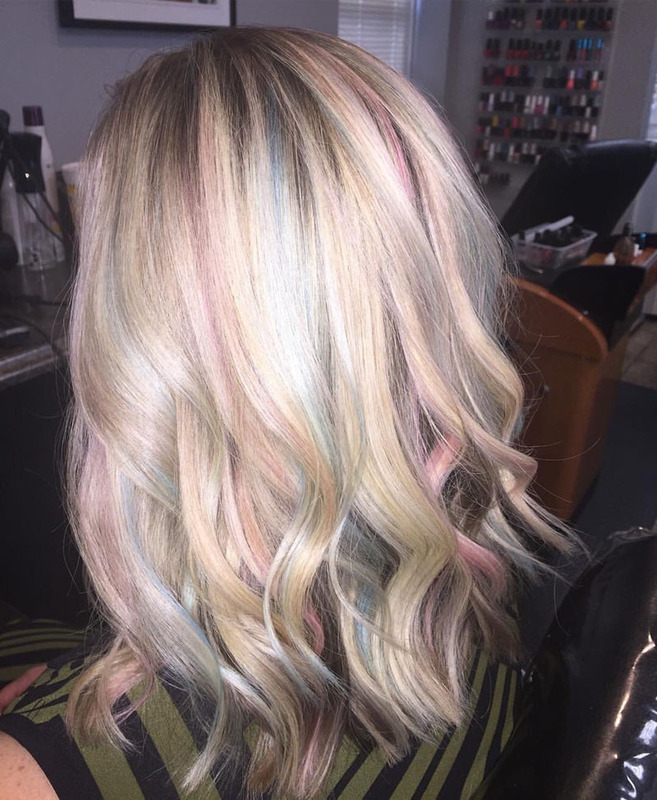 Add some color to your life with pastel highlights like these by @kortniwebbhair. Let’s be honest, us unicorn lovers can’t resist an opportunity to get in touch with our magical side. 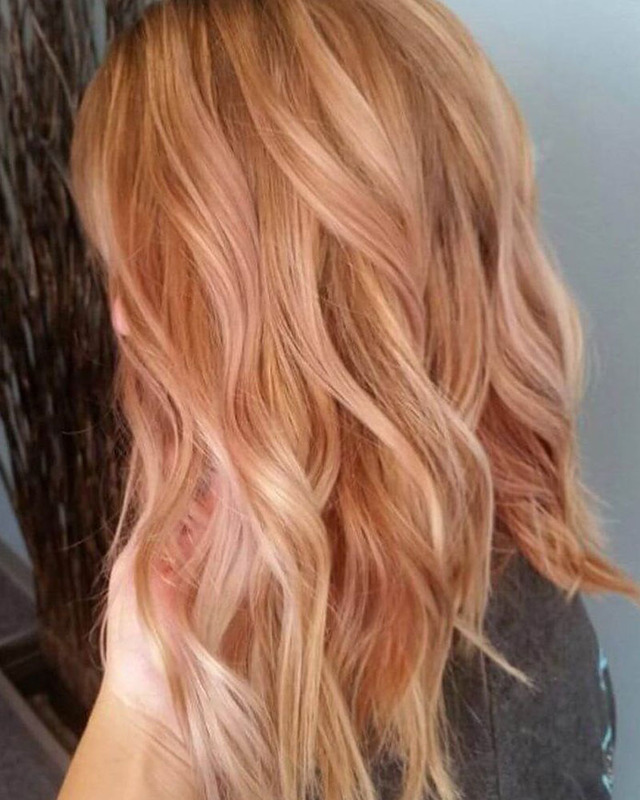 This look by @hairstylistjutta is proof that strawberry blonde is the most underrated color out there. This season, it’s finally getting the attention it deserves; it lets you subtly match your hair to the tones of fall foliage without going overboard.